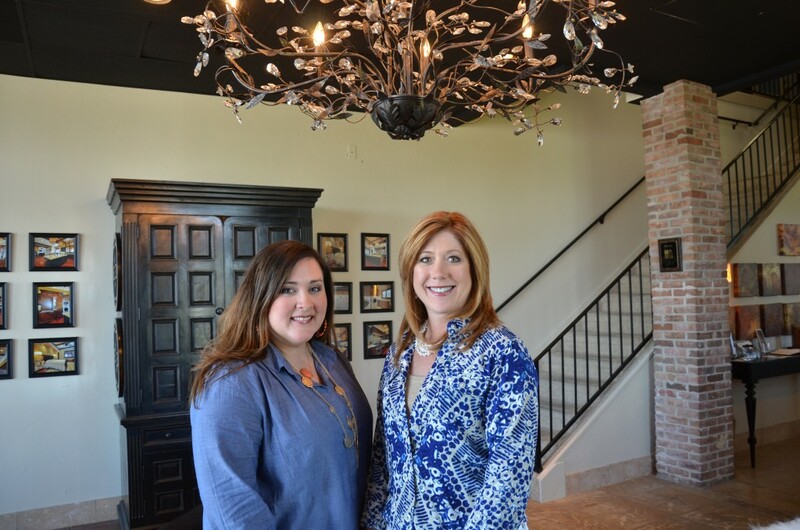 Meet the dynamic duo of Austin Interior Designers, Lori Anderson and Roxanne Gutierrez of Interior Selections-Austin. It won’t take long to experience their enthusiasm for interior design and the personal connection that they make with their clients, vendors and friends. Specializing in residential design, they enjoy working on both new construction and remodels and following a project from the planning stage through to the finished product. Lori is an original founder of Interior Selections-Austin and has over twenty years experience in residential interior design in Austin. She loves to exceed her clients’ expectations and to make the design process fun and exciting. She enjoys getting to know her clients and strives to reflect their personality and style in their decor. The most rewarding aspect of design for Lori is pulling everything together at the end with the finishing touches. Lori is happy with the trend toward cleaner, fresher looks as an alternative to the Tuscan style that has dominated the last few years. Orange and hot pink are her favorite colors to work with and Currey & Company and Cyan Design are among her favorite lighting lines. Roxanne joined Lori in 2012 and has over ten years of experience in residential interior design, having worked with several architects, builders and design firms in her career. Roxanne enjoys the technical aspect of her work, such as tile design and layout in addition to AutoCAD. The blend of old and new and mixing finishes without making everything “matchy” is a priority for Roxanne. She enjoys creating a focal point and conversation piece for her clients. 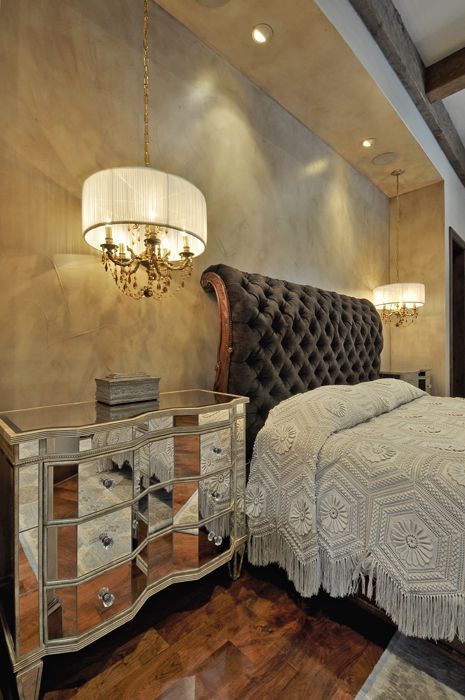 Classic looks, Hollywood glam, and silver and chrome finishes are favorite looks for Roxanne. Grays and blues are the colors she enjoys working with, and her “go to” lighting lines are Hinkley Lighting and Cyan Design. Both Lori and Roxanne expressed that one of the new challenges to their design work is that current popular TV home makeover shows can create unrealistic expectations for their clients. They stress that quality interior design is a process and it takes time and patience to get great results. 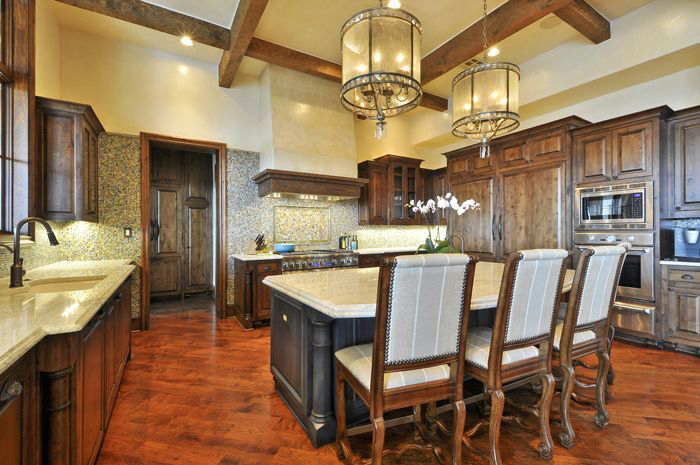 Legend Lighting has had the privilege of working on several projects with Interior Selections-Austin. Our ALA Lighting Specialist Cathy Shockey teamed up with Lori and Roxanne on the lighting design in the photos below. For more information on Interior Selections-Austin, go to their website www.interiorselections-austin.com, find them on Facebook at www.facebook.com/pages/Interior-Selections-Austin, and check out their Houzz at www.houzz.com/pro/interiorselectionsaustin. This entry was posted on Wednesday, July 10th, 2013 at 9:47 pm	and is filed under Designer Spotlight, Interior Designers. You can follow any responses to this entry through the RSS 2.0 feed. You can leave a response, or trackback from your own site.